What is the difference between the InPixio software? Do you feel confused by all our different software? Have you just seen a video and can’t figure out which software it was referring to? Are you not sure you’ve found the software you’re looking for? Create amazing photo montage. Photo Clip includes: Photo Cutter, Photo Editor and Photo Eraser. Focus on items and make your photos sharp. Enlarge the smallest details and make elements from your picture sharp. Provides a large range of adjustments. A package that includes: Photo Clip, Photo Focus and Photo Maximizer. 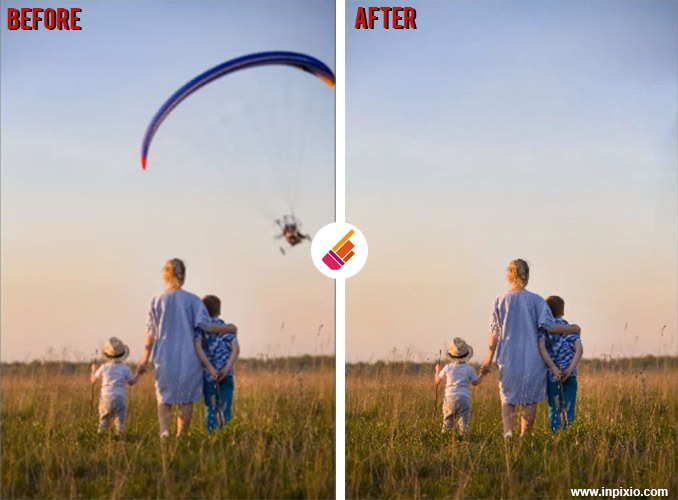 If it’s the first time you’ve tried to edit photos, you will be delighted with our Photo Editor. Photo Editor allows you to easily create photos like a professional. This software will help you to create amazing photos thanks to a range of effects and filters. Our filters are created to make the result look as if it were taken by a professional. Everybody will be impressed by your photos after using our effects on them. Filters can be very powerful if you use them correctly. For those that are more experienced, you will find the color balance adjustment and the tone curve. You will then be able to play with curves and textures to create your own effect. 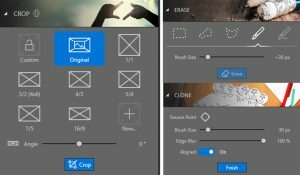 Photo Editor offers many ways to edit your photos. You may have taken an object or portrait, and would like to highlight your element. Photo Editor gives you the ability to use creative blur and vignetting and the ability to choose one of our frames. Like a postcard, with Photo Editor personalize your photos and put text in them. We have plenty fonts to try out! Your new photos will be stunning next to your old photos. You will transform your picture like a postcard and will be able to share it with everybody you love. *limited (unlike Photo Focus) with only the default linear blur and the default radial blur but you can remove size of the area. Photo Eraser is very simple to use. The key function of this tool is to erase unwanted elements in your photos. Remove unwanted people or objects that had inadvertently made it into your photo with the simple to use eraser tool. Thanks to our engineers, we have developed an algorithm that gives the erasing tool the power to calculate every pixel that needs to be removed. Your unwanted items will be erased and you will finally have the picture you wanted. 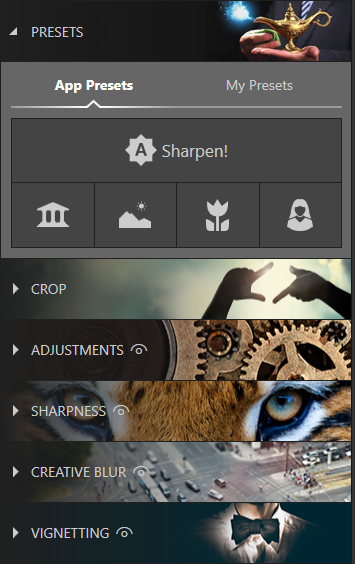 Photo Clip is a great range of tools that allows you to quickly and easily create fantastic photos. All of our tools are made to edit your pictures with just one click. Photo Clip, unlike some famous software, is very friendly to use. You will be able to cut out your friends and family and create a photo montage. It can be perfect if you want to personalize your picture and share it like it was a postcard. Photo Clip can be used in many situations; if you want to create a professional portrait, just remove your background and put yourself in a neutral place. 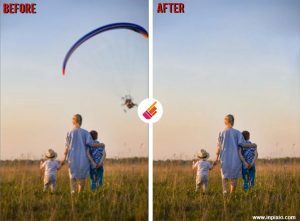 Edit your photos with Photo Clip in one click, make a photo montage, remove unwanted objects and apply filters with ease. All of this is possible with Photo Clip, because Photo Clip includes Photo Cutter, Photo Eraser and Photo Editor. If you purchase the Photo Clip professional, you will have access to Photo Editor. Photo Focus spotlights your items in your pictures. If you have taken a photo too quickly or you have used the wrong preset, you may get a blurred photo. Photo Focus will make your pictures sharp and clear. With Photo Focus you can adjust your picture by using our adjustment tool that permits you to set up your photos just like you want. Photo Focus is very useful when you want to focus on items. If you have taken a portrait or would like to highlight a specific item, it’s easy to do so with Photo Focus. We have a creative blur and a vignetting tool. 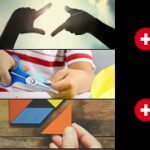 These tools will help you create a photo composition that highlights the item you wanted to point out. *personalize your area you want to change, unlike photo Editor. It’s not the first time that you’ve edited a photo but you want increase your skill and create photos like the best. Our software will help you progress and reach your goal. 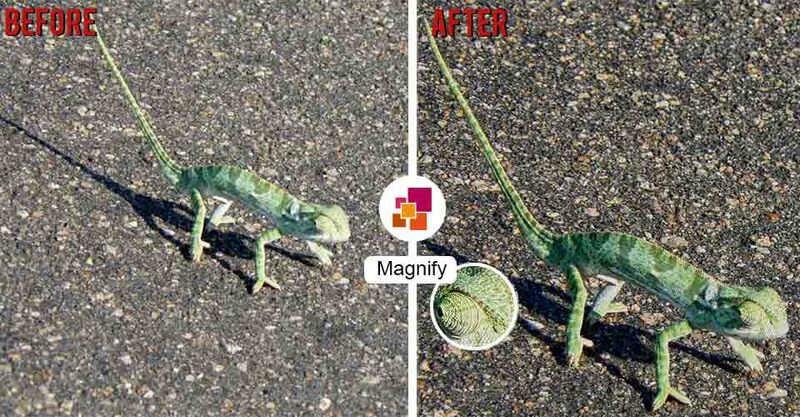 Photo Maximizer allows you to enlarge the smallest details yet maintain the quality of your picture. You will be able to zoom in without it being blurred or pixelated. 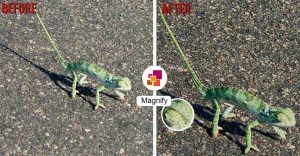 Photo Maximizer allows you to magnify your photos by up to 1000%. It’s a powerful tool created with seven algorithms by our engineers. 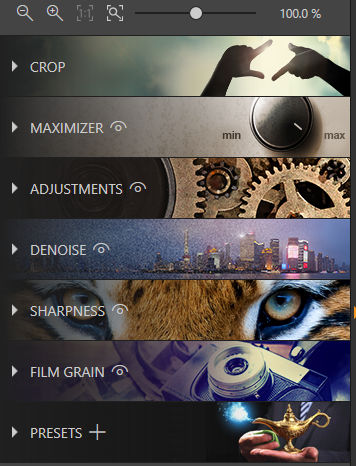 Photo Maximizer is intuitive and simple to use thanks to our presets available in the software. Plus, you have the ability to create your own adjustments for your pictures.